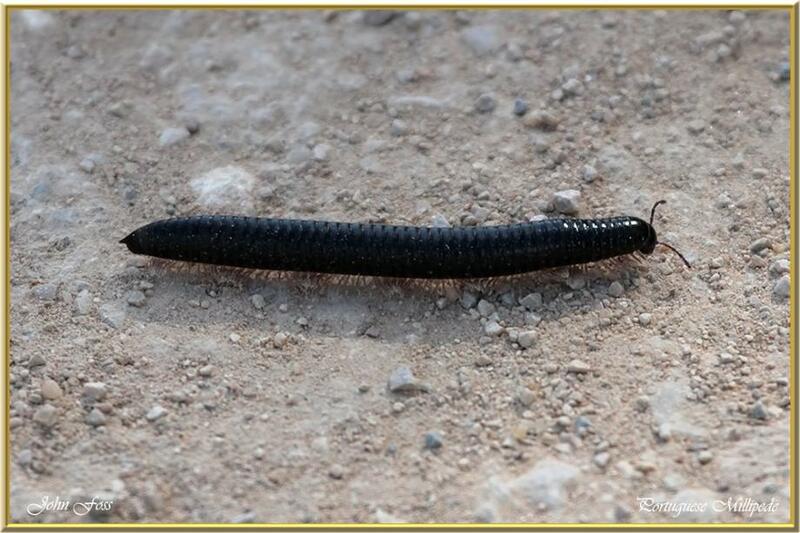 Portuguese Millipede - has a slate-grey to black smooth, cylindrical body with between 40 and 50 segments each of which with 2 pair of legs. Adult millipedes are usually 20-45 mm long. When disturbed, they curl up into a tight spiral and may release horrible smelling yellowish secretion.